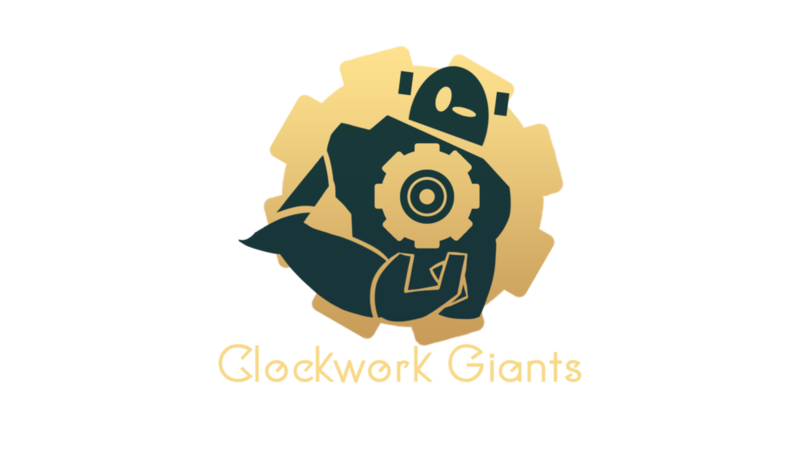 It’s certainly been a while since we wrote one of these blog posts, but recently we attended 2 conventions to showcase Introspect and it went very well for us! Armageddon happened over labour weekend here in New Zealand and is pretty much the biggest hobby and gaming convention we have over here. We attended it as part of the NZGDA booth and enjoyed 3 days of showcasing over the long weekend. We had a decent amount of visitors playing the game and the response was decently favourable. It was very relaxed, honestly, and was the kind of convention we were used to. We were tucked away in the far corner of the convention centre with a single laptop and monitor on display, our banner that was gifted to us by Media Design Studios up attracting whoever it could. We had every member of the team work a showcasing shift at least once. It was very much a precursor to PAX Aus, a kind of warm up of sorts. 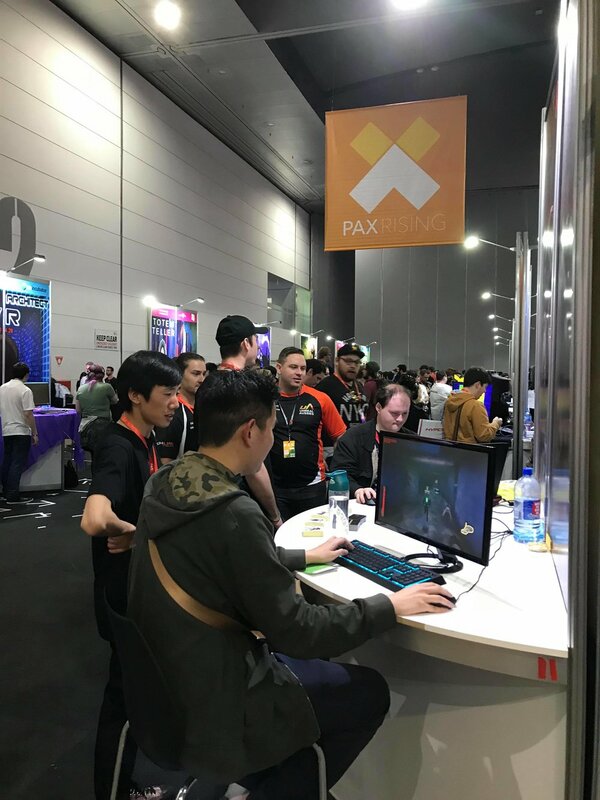 But it was nice, we got to talk to people who have never played the game before, local devs who were showcasing with us and gained some confidence in the build that we were going to be showing in Melbourne. After Armageddon, we had a few days to prepare for our flight over to Australia for PAX. We arrived a few days early in Melbourne to give ourselves enough leeway to prepare our booth. We stayed at an Airbnb over at St. Kilda, about 15 minutes of walking and then 15 minutes tram to the convention centre. The place had all the facilities we needed, but the long trek to the tram station was pretty harsh on us. We had to drag our showcasing equipment in suitcases to and from the place (one of the wheels on a suitcase broke early on), which added to the physical stress of the event. It would have be much nicer to stay closer to a tram station to reduce the amount of walking needed. Arriving at the convention centre, our booth was in a relatively nice location. It was on the edge of the PAX Rising indie space, next to lots of potential foot traffic. We had enough room to set-up our banner, which hopefully helped to attract people to us along with our pretty awesome booth poster. We tried to make use of our booth table space as effectively as possible, but unfortunately, we left the power cord of one of our monitors back home in Auckland. Our table consisted of one monitor for our personal desktop and a gaming laptop provided to us by our good friends at Media Design Studios at each corner, plus stickers and business cards in the centre for distribution. Our business cards almost didn’t make it on time, arriving only one day before the event. We definitely need to try order those much earlier next time, considering how close we were to losing out on the benefits of months of work. And wow did the business cards perform well! Many visitors and exhibitors were very impressed by them, which probably led to a good, lasting impression. In total, we gave away roughly 800 business cards over the 3 days. We handed a card to everyone that looked interested in the game, but even still we didn’t expect to almost run out of the 1000 cards we had ordered. It was a good amount for our first major public show, but we probably need to have more prepared next time around. We also gave away just about 400 stickers, mainly to people who tried the game, but also to those who liked free stuff. 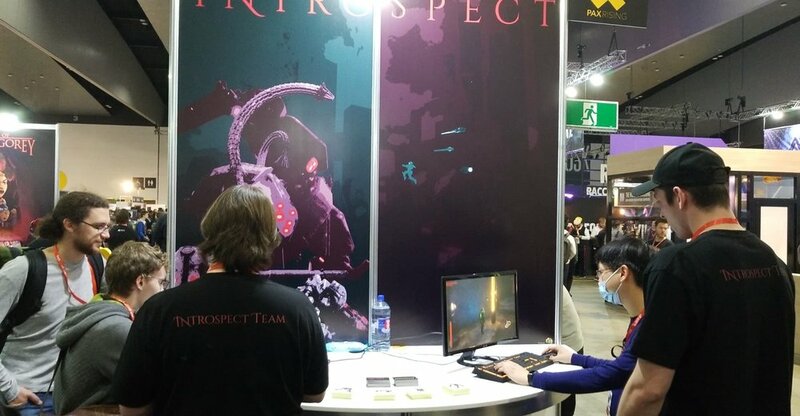 From the 3 day expo, around 350 people got to sit down and play the Introspect closed alpha with many others watching around the booth. We initially planned to only have 1 computer running the game, but thankfully we decided to go with two. There were hardly any moments where any of the computers were free, and we had a decent amount of queuing going on. It was honestly very surprising that so many people were interested in trying the game, but that’s probably because we had only demoed the game at small conventions beforehand. The reception was fantastic! Lots of people were happy to see that a game like Introspect exists, and excited to see how it develops until launch. It was a big confidence booster for us as a team to see genuine interest in what we were making. Not only that, we received a lot of praise for our systems, our design, and many other aspects of the game. Some of it was criticism, which we wanted and expected, but that was only about 5-10% of the comments we received. We also spoke to members of media, game design students, freelancers, console representatives and other industry folk which was pretty cool. By the end of it all, we collected 46 business cards throughout the event, mostly from people who visited our booth. Even with 3 of us there working, we didn’t have much time to take breaks. It was busy, and this is probably the most casual PAX event compared to the American ones. And that’s really that. Both events were very good for us overall, as we felt they helped to validate our work and let more people know about what we are doing. We’re definitely going to be attending them next year as well, and maybe a few other expos too!